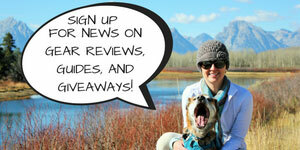 Got an adventure story with your dog? Or a piece of gear you’d like us to test? Or just want to say hi? Use the form below and you can expect a response within 72 hours.